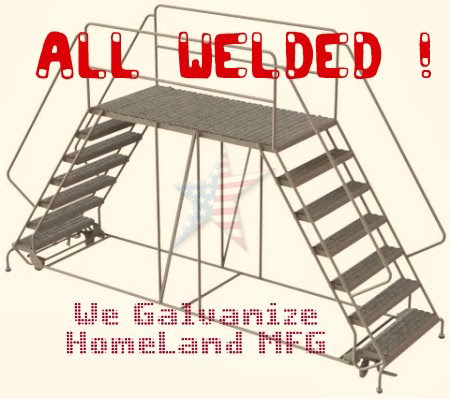 Click here to view other Ladders We GALVANIZE! Double Stairs With Single Handrail Makes for Easy Work Access, Especially in a Restricted Space. We Can GALVANIZE These. Our Dual Access Rolling WORK PLATFORM is really the work horse of Maintenance Platforms. 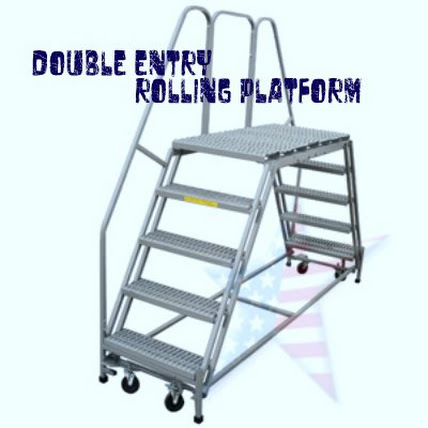 It is a Dual Access Rolling Work Platform with two stairways and single handrail on one side. The lock safe caster locking systems turn this mobile platform into an unmovable stand on all four legs. We build these duel entry platforms in many sizes, heights and we can also GALVANIZE this platform. 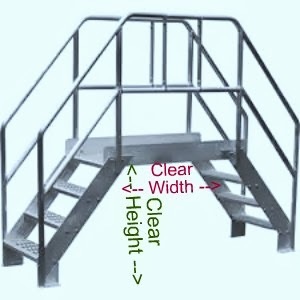 Standard Prices for Single Handrail Platform. We Can GALVANIZE these too! 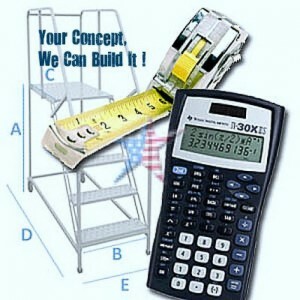 Please consult this diagram for a clear depiction of how we measure and describe our double entry work platforms and ladders.